Will Conor McGregor Leave the UFC for Good in 2018? These are certainly troubling times for fans of the UFC lightweight champion and global superstar. Perhaps the most pertinent indication of McGregor’s mindset came prior to last week’s antics at Bellator 187 when “The Notorious” jumped the fence of the cage and was involved in an altercation with referee Marc Goddard which led to him also slapping a Bellator official. So where does this leave McGregor? Having held the UFC lightweight title for over a year while he awaited the birth of his first child and took on boxing legend Floyd Mayweather Jr., he is still yet to defend that title. How much longer can the UFC allow a division to be held up on account of a fighter’s reluctance to defend until he is given a better deal? The 29-year-old has publicly stated that he wants a stake in the promotion and appears to be holding out until he gets what he wants. McGregor is certainly not short on options and also has the opportunity to engage in at least a few boxing matches should he play hardball with the promotion. 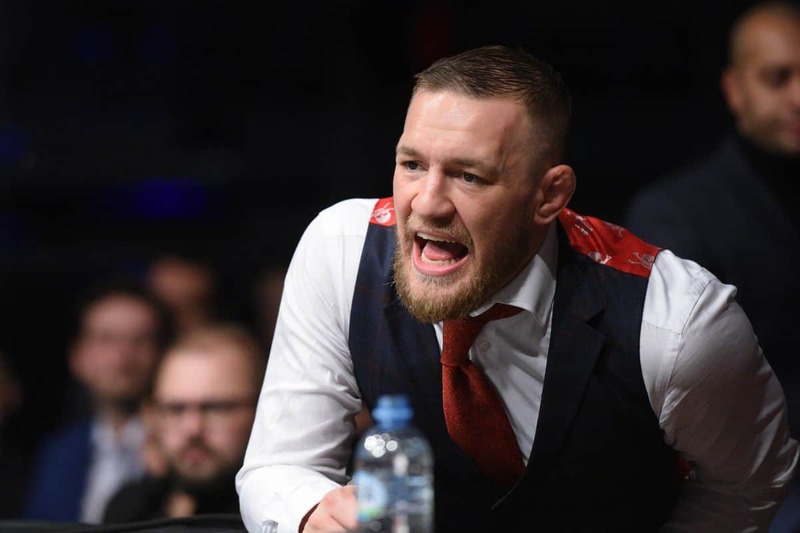 When boxers begin frequently calling out the Dubliner (despite his claims that he was returning to MMA) for potential bouts, it appears that someone may know more than they are letting on behind the scenes. “You know I’m competitive,” De La Hoya said, speaking on DashRadio (h/t The Mac Life). “You know I still have it in me. I’ve been secretly training. Secretly training. I’m faster than ever and stronger than ever. I know I could take out Conor McGregor in two rounds. I’ll come back for that fight. Two rounds. “He’s a big Irishman,” De La Hoya said. “He’s the king. He’s the king. Hey, let’s get it straight: in the cage, he would freakin’ destroy me. He would destroy me! McGregor may have something up his sleeve and it would not surprise many to see him head towards another bout inside the squared circle. If that is the case, we may have seen the last of Conor McGregor in the UFC, or at very least, the last of hiim as a UFC lightweight champion.